This book prepares readers to analyze data and interpret statistical results using R more quickly than other texts. R is a challenging program to learn because code must be created to get started. To alleviate that challenge, Professor Gerbing developed lessR. LessR extensions remove the need to program. 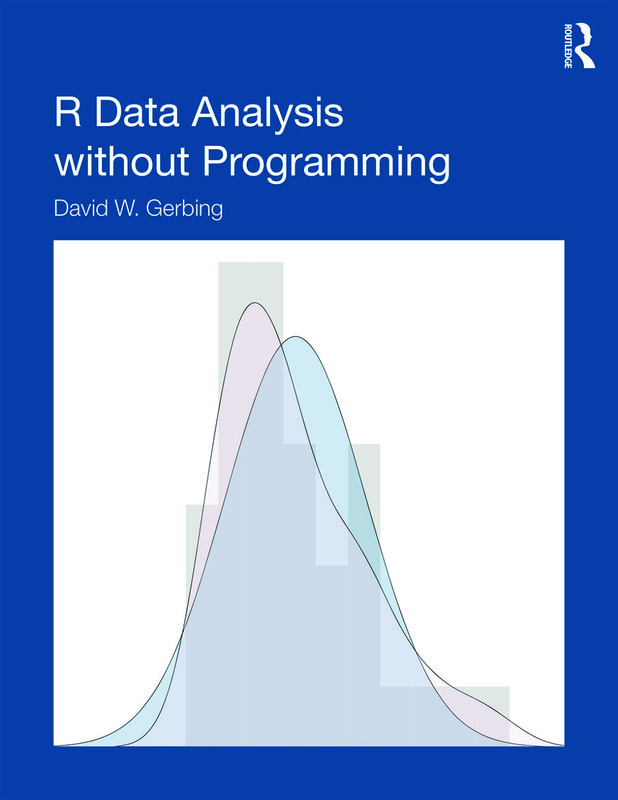 By introducing R through less R, readers learn how to organize data for analysis, read the data into R, and produce output without performing numerous functions and programming exercises first. With lessR, readers can select the necessary procedure and change the relevant variables without programming. The text reviews basic statistical procedures with the lessR enhancements added to the standard R environment. Through the use of lessR, R becomes immediately accessible to the novice user and easier to use for the experienced user. Quick Starts that introduce readers to the concepts and commands reviewed in the chapters. Margin notesthat highlight,define,illustrate,and cross-reference the key concepts.When readers encounter a term previously discussed, the margin notes identify the page number to the initial introduction. Scenarios that highlight the use of a specific analysis followed by the corresponding R/lessR input and an interpretation of the resulting output. Numerous examples of output from psychology, business, education, and other social sciences, that demonstrate how to interpret results. Two data sets provided on the website and analyzed multiple times in the book, provide continuity throughout. End of chapter worked problems help readers test their understanding of the concepts. A website at www.lessRstats.com that features the lessR program, the book’s data sets referenced in standard text and SPSS formats so readers can practice using R/lessR by working through the text examples and worked problems, PDF slides for each chapter, solutions to the book’s worked problems, links to R/lessR videos to help readers better understand the program, and more. An ideal supplement for graduate or advanced undergraduate courses in statistics, research methods, or any course in which R is used, taught in departments of psychology, business, education, and other social and health sciences, this book is also appreciated by researchers interested in using R for their data analysis. Prerequisites include basic statistical knowledge. Knowledge of R is not assumed.